We’ve begun work digitising the back issues of one of our most popular journals, Chemist and Druggist. On completion this summer, the digitised journals will be freely available for users worldwide via the Library website and catalogues, as well as the Internet Archive. Chemist and Druggist contains a wealth of information for studying the history of medicine and pharmacy, as well as social history, history of advertising and graphic design and family history. Continually published for over 150 years, it’s the leading trade journal for the pharmacy community in the UK. The historical issues offer fascinating content, evidence for the existence of organisations and therapies, and advertisements for a wide range of preparations and devices. 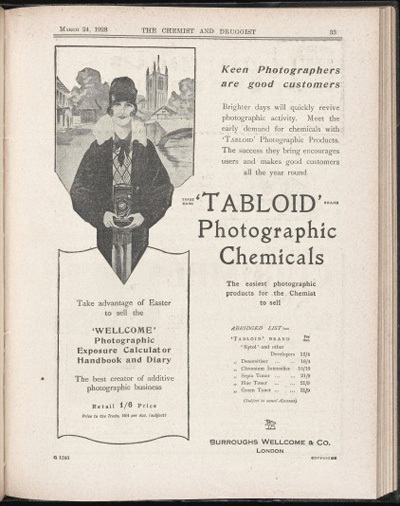 Advert for Tabloid Photographic Chemicals from the Chemist and Druggist, Jan-Mar 1928. 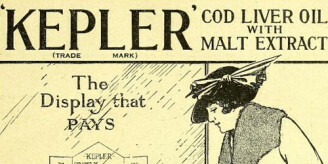 The digitised Chemist and Druggist will be a valuable resource for the pharmacy trade, as well as academic and other researchers in diverse disciplines: social scientists and historians, especially medical and business historians, as well as those working in the history of design and marketing. The run consists of around 6,500 issues, some 500,000 pages. We will be digitising the journals on site, mostly using copies kindly donated by the publisher UBM Medica. Library copies will be used when there are missing issues. This means that a small number of issues will be taken out of use for a few days at a time when they are needed for digitisation, but by using the UBM Medica copies we will minimise the impact on readers. Once digitised, the digital issues will be available in a basic format via the Internet Archive, and will later be available via the Library website and catalogues with increased functionality. 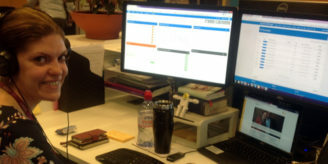 If you have any questions about the digitisation of the journals please don’t hesitate to contact us. While doing research into my grandmothers life and history, I searched on the internet for references to her father (Miles Walker-Pole) who was a chemist in Johannesburg, South Africa in the early 1900’s. To my surprise I have discovered a wealth of information about my grandfather – including a photograph and description of his pharmacy. I also learned of a ‘motor-car accident’ he had, as well as hints of another pharmacy that he set up. All of this we did not know and it has been such a wonderful source of information and opportunity to learn more about him. Thank you for taking the time to digitise and share the Chemist and Druggist! That’s wonderful news. I’m glad to hear you were able to find out so much about your grandfather from the Chemist and Druggist. One of the reasons we were so keen to digitise The Chemist and Druggist is because it’s such an incredibly rich and varied resource which contains so much information for family historians, as well as those interested in the history of pharmacy, brands, drugs and advertising to name but a few of the themes covered. We’re currently working on ways to make it easier to discover information in Chemist and Druggist, so keep an eye on the blog for developments. We love to hear about all the different ways in which Chemist and Druggist is being used, so please do get in touch and let us know.